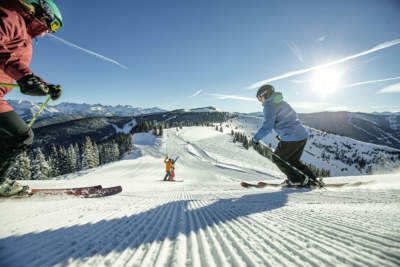 Vail’s wide variety of terrain, back bowls, and 5,289 skiable acres are one-of-a-kind. 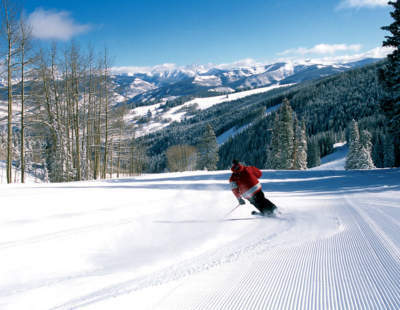 Paired with pristine conditions, skiing Vail is truly like no mountain you’ve experienced before. Thanks to the magical combination of averaging more than 300+ days of sunshine and 370+ inches of snow each year, plus majestic, only-in-Vail views of the surrounding Gore and Sawatch mountain ranges, the phrase “Like nothing on Earth” comes to life before your very eyes. Beaver Creek Mountain is renowned for its stunning beauty and welcoming atmosphere, providing access to every level of skier. You’ll delight in the meticulously groomed corduroy runs as you explore 1,800 acres of terrain, as you dip into each of the three distinct base areas while discovering everything from your new favorite run to a mountaintop candy shop. By the end of the ski day, you’ll have worked up an appetite for our beloved 3 p.m. tradition: Cookie Time. Enjoy complimentary cookies, served fresh out of the oven at the base of the mountain. Locals know how important a pair of his or snowboard can be to enjoy your day on the mountain, so if you have a pair of skis or a snowboard you can’t without, bring them. If you’re looking to try the latest gear, however, renting or demo-ing gear can be the way to go. A good compromise may be to bring your own boots and rent or demo skis and poles or a snowboard. You will also find renting your equipment is less of a hassle when traveling. Local ski delivery and concierge companies can make your vacation more convenient with ski delivery and trip planning services.